Much of the astronomical data pertaining to the sun, moon and stars is fascinating but requires an advanced understanding of scientific principles to fully comprehend. When put in layman’s terms, however, there are some interesting and fun facts about the sun, moon and stars that can broaden your understanding of the universe. The sun has been shining for 4.6 billion years and has remained relatively unchanged over time. The core temperature of the sun is 15 million degrees Celsius or 27 million degrees Fahrenheit, hotter than anything found on earth, even the earth’s fiery core. Electricity can be generated from the sun's heat. Referred to as solar energy, it can be captured using solar reflective panels and stored in batteries or transferred directly into the electrical grid. The sun is made of at least 90 percent hydrogen (H) and it gives off energy in the process of converting hydrogen to helium (He). A sunspot is a vortex of gas on the surface of the sun and is several thousand degrees hotter than the rest of the sun. Some sunspots are so small they cannot be seen with a telescope, while other sunspots are larger than the earth. They usually appear in pairs or groups and can last for months. Solar flares are abrupt releases of solar energy from a sunspot that are invisible in ordinary light, despite the fact they emit the equivalent of the entire sun's energy in 0.25 seconds. The moon’s surface is covered with craters from meteorites crashing into the surface from space. Because the moon is so small -- one-sixth the size of the earth -- it is unable to hold an atmosphere to protect it from the onslaught of passing meteors. It also has very little gravitational pull, and walking on the moon is much harder than here on earth. The moon is the only celestial body other than earth that man has landed and walked on. There are so many stars in the universe that it is impossible to count them all. About 7,000 stars can be seen with the naked eye from earth. Many stars and constellations were named in ancients times for gods and animals that they resembled. 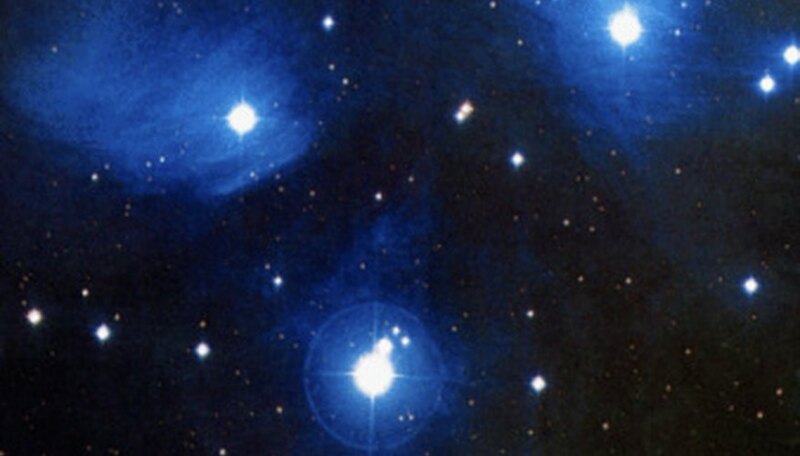 Many stars that are visible no longer exist, but because their light takes so long to reach the earth, they are still visible long after they have expired. The turbulence in earth's atmosphere is the reason why the stars appear to twinkle when we look at them. London, John. "Fun Facts of the Sun, Moon & Stars." Sciencing, https://sciencing.com/fun-sun-moon-stars-8459789.html. 24 April 2017.